PacFed - A Leader in Employee Benefits | Improve Your Hearing or Vision, and Save Money at the Same Time! Improve Your Hearing or Vision, and Save Money at the Same Time! 24 Apr Improve Your Hearing or Vision, and Save Money at the Same Time! If the cost of LASIK surgery or hearing aids has prevented you from improving your quality of life, there’s great news for members of Medical Eye Services (MESVision) and Davis Vision! MESVision and Davis Vision have announced deep discounts for Lasik eye surgery and/or hearing aids at locations nationwide. 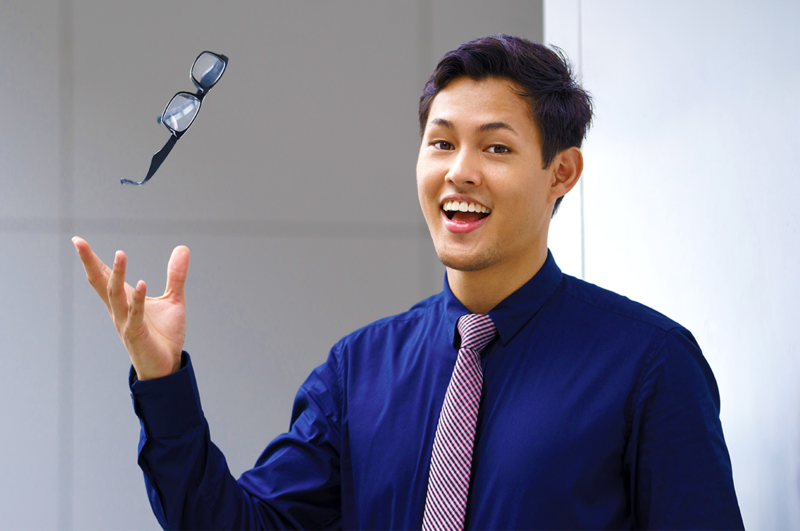 If you’re nearsighted, farsighted or have astigmatism, Lasik (laser vision correction) could help you regain your vision through a single FDA-approved procedure. The surgery reshapes the cornea so that light entering your eye is properly focused onto the retina. Vision is usually corrected immediately following the procedure, which can reduce or eliminate your dependence on glasses or contact lenses. MESVision is pleased to provide limited-time discount opportunities through LasikPlus® and QualSight®LASIK providers across the nation. QualSight®LASIK offers a Preferred LASIK Program for 40% to 50% off the cost of traditional laser eye surgery as reported by Market Scope LLC Q1 2016. The Program includes the preoperative exam, procedure, post-operative visits and a one year assurance plan. Special flexible financing options of up to 12 months interest-free available from participating providers for qualified applicants. For more information, call 888.582.6694 or visit QualSight.com/-mesvision. Davis Vision also offers special pricing for its members on Laski eye surgery, with special financing options. Savings include 40-50% off the national average price of the traditional procedure. In addition, you’ll have access to credentialed surgeons who have collectively performed millions of procedures at more than 1,000 locations. For more information, call 855.502.2020 or go to Lasik.QualSight.com. Davis Vision members can also save up to 60% of retail on brand name hearing aids from major manufacturers through the EPIC Hearing Service Plan. Prices are discounted by up to $1,200 on plans ranging from basic to premium levels of hearing aid technology. The EPIC network, comprised of professional audiologist and ENT physicians, represents the largest accredited network of its kind in the nation with provider locations in all 50 states. For more information, call 844.246.0544 or visit epichearing.com/davisvision. At PacFed, we would love to help you hear well, see well and live well! Call your provider today for details regarding eligibility and coverage.